Introducing Floral from Fire, my first hangable gourd art piece. This flowery creation was born from a need to create a piece that could hang, rather than sit like most of my other items, for Artworks “Dually Exposed show” at the Presbyterian Church in Bowling Green, KY. I was partnered with a great photographer, Howard Margolis. Our showcase featured Mr. Margolis’ floral photo, and my pyrography gourd interpretation. 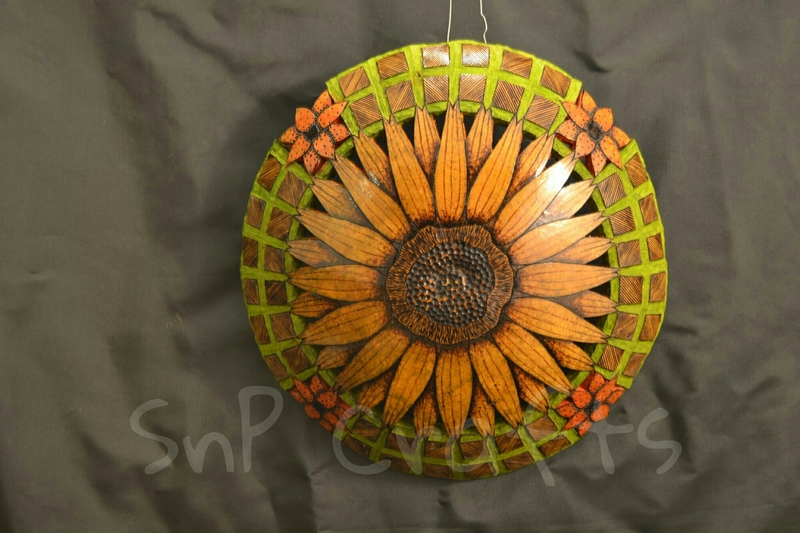 This entry was posted in Gourd Art and tagged art, bowling green art, Bowling Green KY, gourd, gourd art, gourds, kentucky art, kyarts, pyrography, pyrography art, wood burning. Bookmark the permalink.